We are on the precipice of a food fight among 7 billion people, and potash will be right at the center of it. If you can add 200,000 people every day to the global population and account for a significant loss of farmland at the same time, you can begin to understand the dire food situation facing the planet. This is why potash is so important: It’s the fundamental element that everyone takes for granted, despite the fact that a projected 7.7 billion lives will depend upon it by 2020. No commodity is more fundamental than potash—and there is a lot of pressure riding on an element that many people aren’t even familiar with. 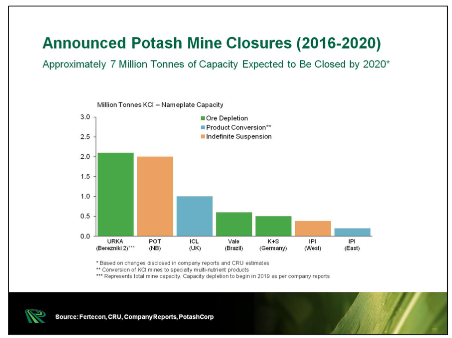 Of the key commodities taken for granted, potash is on the top of the list. The challenge for farmers—and for the world—is to increase crop yields on less land, which is being lost to climate change and increasing urbanization. This means not only steady demand for the three main elements of fertilizer—potash, phosphate and nitrogen—but significantly higher demand. "A growing population needing to be fed from a limited amount of arable land makes fertilizer and particularly potash a robust commodity," Potash Ridge President and CEO Guy Bentinck told Oilprice.com. "Additionally, as the middle class grows, the demand for higher-end food increases, and with that the demand for potash and related fertilizers increases." For such a critical element, it’s hard to believe that potash remains so elusive. It took a high-profile US$40-billion hostile takeover attempt of Saskatchewan’s Potash Corp., which failed, by major miner BHP Billiton in 2010 for even the Wall Street Journal to decide to figure out what all the fuss was about. Potash, and various potassium-containing compounds are used to fertilize crops as a necessary resource for the growth of plants. In many regions of the world, there are large potash-bearing deposits from ancient sea beds that dried up millions of years ago. Most potash comes from these sources and is separated from the salt and other minerals and then graded into a form that can be used to make fertilizer. So even if you haven’t heard of it, Potash is so big that it eludes radar—until the giant miners start aggressively positioning themselves for bigger pieces of this pie. If you’re still not sold on potash, consider this: As far as commodities go, though it’s been a tough couple of years, Potash outperformed gold, silver, copper and oil and gas in 2015, and this year, as its cycle comes full circle, it’s back by popular demand. This is a huge playing field with some of the biggest miners in the world—all vying for market share. Russia, Belarus, China, Germany, the U.S., Israel, Jordan and China are all major potash miners, with Canada currently holding the top position for the commodity--producing 11 million tons last year and the year before, compared to Number 2 producer Russia’s 7.4 million tons. Canada is also home to the world’s largest fertilizer company by capacity—Potash Corporation of Saskatchewan, or Potash Corp.—the target of BHP Billiton’s long-running covetousness. The U.S. came in at 770,000 tons of potash production in 2015, mostly from New Mexico and Utah, which have a total of seven potash mines. Most of the U.S. potash goes to the fertilizer industry, while small amounts are diverted to the chemical industry. The four mines in New Mexico are controlled by two companies—Intrepid Potash (NYSE:IPI) and Mosaic (NYSE:MOS). In Utah, it’s Intrepid again, Compass Minerals (NYSE:CMP), and Canadian explorer Potash Ridge (TSX:PRK) with its Blawn Mountain project. Potash Ridge’s Valleyfield project in Quebec is projected to produce 40,000 tons of SOP (sulfate of potash) annually, with construction slated to begin later this summer. The movements among the big potash players make huge market ripples. In 2015, a US$500-million loan deal from the Industrial and Commercial Bank of China and China Construction Bank with Russian potash major Uralkali, effectively gave China greater control over global potash production. Uralkali accounts for about 20 percent of the world’s potash production. China—a major demand center for potash—now has immense influence in the potash market, and is both a major producer and a major importer because demand is far greater than domestic supply. The Chinese potash contracts that are typically made in February every year—but delayed this year—are a critical annual point for producers. As Mr Bentinck has noted above, the middle class is growing, and they want higher-quality, healthier food, which means cash crops. This demographic change is leading to a health food revolution for which potash is the primary element. But not all fertilizers are equal in this game. The two most common forms of fertilizer are MOP (muriate of potash) and SOP (sulfate of potash). Right now, MOP is the most common; but while it’s good for some crops, it’s not good for others, and it can create environments that are detrimental to some crops, primarily due to high levels of chloride. 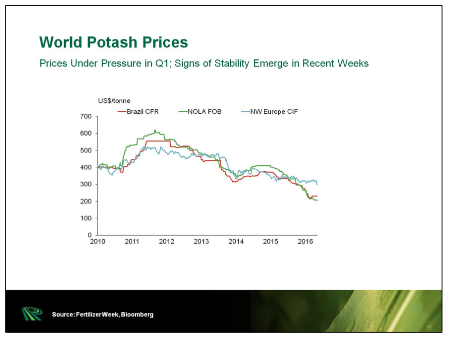 SOP, on the other hand, is the premium end of potash. It’s the posh potash. It improves both the quality and yield of a crop, while at the same time making them more drought, frost, insect and disease-resistant. It’s been said that SOP also improves the taste of the food by improving its ability to absorb nutrients. The other problem with MOP today is that the market is temporarily over-supplied and prices have dropped, which has prompted some more junior miners—such as Potash Ridge in Quebec and Utah--to swoop in to take advantage of the opportunity for the less common SOP. Potash Ridge, which is one of the fastest-growing juniors on the posh potash scene, says SOP "continues to be one of the best performing commodities across all sectors, which realized prices in North America exceeding US$880 per ton in the fourth quarter of 2015." Fertilizer demand is set to increase over the long-term. While globally we consumed 35.5 million tons of potash in 2015, the next four years should see this rise to 39.5 million tons. The catalysts for potash are already clear and present. 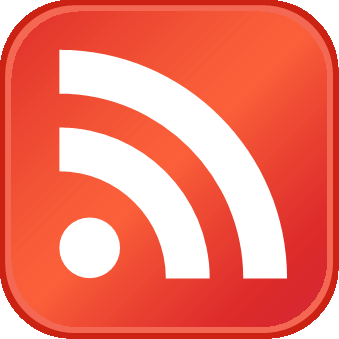 The grain cycles that affect fertilizer are coming back around now; the long overdue, but now occurring monsoon season in India should relieve several quarters of slumping demand in this major demand venue; a health food boom is increasing demand for the SOP form of potash; long-term global population figures stand starkly against plummeting farmland figures; and major potash production is coming offline in the near-term, making even more room for the juniors to break in. Remember—grain crops are cyclical, so buying when they are down is when the big investors make all their money. Just because corn and other key crops that rely on potash have been down, adversely affecting fertilizer revenues—doesn’t mean they’re out. Corn has many booms and busts; buy on the bust, right before the next cycle boom. One of the biggest immediate-term catalysts will be the planned moves by giant Potash Corp., it’s Canadian competitor Agrium (NYSE:AGU) and Mosaic to take potash production offline in order to rebalance the supply side of the market—something everyone’s been trying to get OPEC to do with oil to no avail. This means that in the next few months we should see potash prices recover, so the window to get in on the downside here is only open a crack. 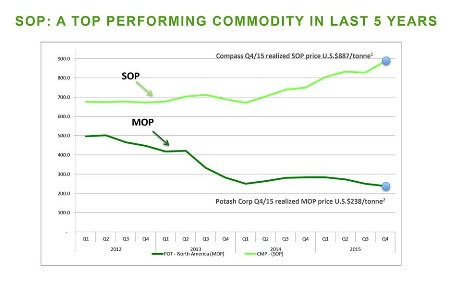 The last great cycle for potash was 2004-2008, but prices for MOP have dropped 60 percent since then, while prices for SOP have doubled since then. 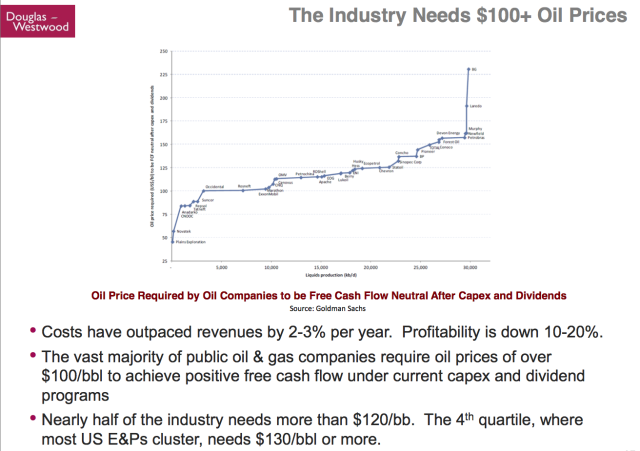 While MOP is experiencing a glut right now that could soon be rebalanced, supply for SOP is tight, making the margins for SOP increasingly attractive, and the juniors breaking into a high-reward versus risk bargain. "The global SOP market appears to be under-supplied, with current tightness of the market demonstrating demand for additional global capacity outside China," according to Neil Fleishman, Director of Research for Green Markets. 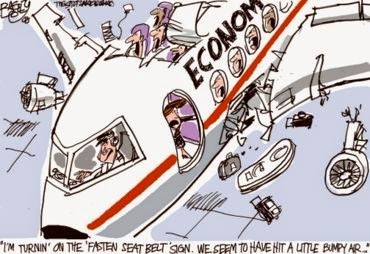 There is massive opportunity here in the uncertainty of this market, for which the fundamentals absolutely must re-balance in the medium-term. And while the MOP fundamentals might take a bit longer to fully rebalance as the global supply-demand picture recovers, the premium-priced posh potash, SOP, is the emerging darling that gives us cause to look more bullishly at the break-out juniors here.